I vowed never again, but here I am: judging screenplays for a competition. And actually, it’s the best time I’ve ever had reading for a contest. It’s one of the big ones. Very reputable. They run it well and there’s a marked difference in the level of these screenplays from those entered in other contests. Writers who advance in this contest start getting scouted even before the final round. If you’re going to enter screenwriting contests, it’s one of the best. But if I’m being totally honest, I feel bad about the feedback these writers will receive. Don’t get me wrong – I know the writers will receive comments that are made with the best of intentions, from myself and any of the other judges. We take the job seriously and we’re all as honest and accurate as possible. Every script entered in this contest is read in its entirety – which you would think would be industry standard, but trust me – not so. Lesser contests don’t have that sort of standard in place. I like being part of something with so much integrity. And it makes me feel like they value the work I’m doing, which is nice too. Yet, I know a lot of writers enter contests for the feedback. But what they may not realize is if a screenplay contest offers feedback at all, what the writer receives is probably minimal. And that keeps me up at night. Because I feel like I have a relationship with these writers now. Even though I don’t know their names, and they’ll probably never know it was me who read their scripts. I’m a writer too and I know how it feels to ask someone to weigh in on a draft of your script. I know the sweat, tears, coffee, whiskey, and time that went into those screenplays. And no matter how diligent any of us contest readers are, four or five sentences of feedback can’t do justice to the work that went into the script. It certainly can’t offer the kind of really specific, targeted, helpful feedback that I would want to get, and that I want to give. And I know how that feels too – having someone drop criticism in your lap without explaining it. That’s pretty much the worst. Screenplay feedback is most effective when it’s a conversation, you know? When I can ask you what you were going for with a particular choice, or when I can tell you what my impression was and together we can gauge how far off that was from where you were aiming. And then brainstorm solutions to get you to the target. 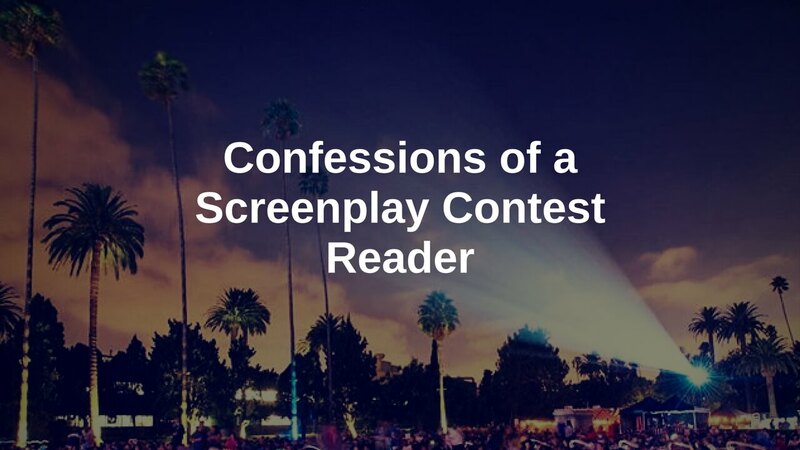 But since you can’t have that conversation with your screenplay contest reader, I thought I’d shed a little light on the most common issues I’m seeing in the scripts I’m reading right now. These are the things I find myself commenting on over and over again. They’re probably going to seem pretty obvious to you. But it means something when the same issues keep cropping up – especially amongst a batch of scripts that are actually pretty good in the grand scheme of amateur scripts. Maybe these “obvious” issues are harder to recognize in our own scripts than we want to admit. It’s a familiar story (say, based on a fairy tale or a real life event) that hasn’t been done before in film, yet the writer hasn’t put an original spin or fresh take on it. Sure. I feel you. But even using existing story material, the writer still needs to bring a perspective to it that makes the telling of that story unique and compelling in some way. I mean, put yourself on the other side of the desk: if you were going to hire a writer to adapt material, you’d want to make sure he or she wasn’t just a transcriptionist, right? You’d want the writer to bring a little more vision than that. A first act issue, for sure, and usually related to the placement or nature of the Inciting Incident. Often what the writer has intended to be the Inciting Incident doesn’t appear to the reader as having clear Inciting Incident properties. Meaning it doesn’t kick the story into motion in a way that the reader can track. It’s possible that every screenwriting book that’s ever described the Inciting Incident as simply a “wakeup call” or a “knock at the door” has been doing writers a disservice. Because the Inciting Incident needs to do more than break a little news. It needs to cause a problem for the character. That problem may seem like an opportunity rather than a true problem, but it still creates a situation that the protagonist wants to do something about. The problem the Inciting Incident creates is related to or indicative of what the protagonist will spend the rest of the movie doing and pursuing, so you’re giving readers a sense of where you’re taking them. We can sense you’re buckling us in for the ride. It’s just the start of what will require some other wild journey, crazy plan, or heroic mission, which will be launched at the break into act 2, but we have to know, see, and feel that the Inciting Incident is beginning to lead us there. A reader might comment that the story needs more big-picture conflict, or that the existing conflict is inconsequential, i.e. that characters are able to overcome it too easily and then the narrative continues on unaffected (at the story and/or scene level). Sometimes a script really is lacking conflict, but other times it’s a matter of conveying it so that it makes an impact – so that your reader really gets the nature of the conflict and why it matters. + Inspect the story’s foundation. Revisit your one sentence, or your logline. Make sure you can identify and articulate both the external and internal conflicts in the story. Gauge for yourself (and perhaps with the help of some trusted screenwriter friends) whether or not those conflicts are big enough to carry an entire screenplay. + Look to your beat sheet or outline, or make a new list of all the actions the protagonist takes to achieve his goal. For each one, list out what stops the action – whether that’s a counter-action by the antagonist, another type of obstacle, or new information that causes the protagonist to change direction. Now, evaluate. Is the protagonist successful in his actions more often than not? That could be a problem. Do the actions and obstacles generally escalate in intensity over the course of the story? Do the obstacles cause visible effects on the story? Meaning, can the protagonist go right back to his original plan of attack after encountering an obstacle? Has something changed, internally or externally, from each encounter? Sometimes this refers to all characters, sometimes it’s everyone but the protagonist; usually a reader will specify. A lot of writers spend time getting their main characters in order — developing flaws and motivations, giving them interesting layers, thinking about the story through their eyes — but what about the supporting characters? Too often they just feel like placeholders. If you’ve received a note like this, try beating out each character’s story independently of the others. For a given character, this might be very few beats and they might even be solely in relation to the main character. Still, look at the story from each character’s point of view. This will help you see where you can explore and flesh out those relationships and supporting characters themselves, and help you locate opportunities to add different levels of conflict to your story. This one’s related to the note above, and the root of it is pretty obvious, right? The writer hasn’t differentiated each character’s voice. 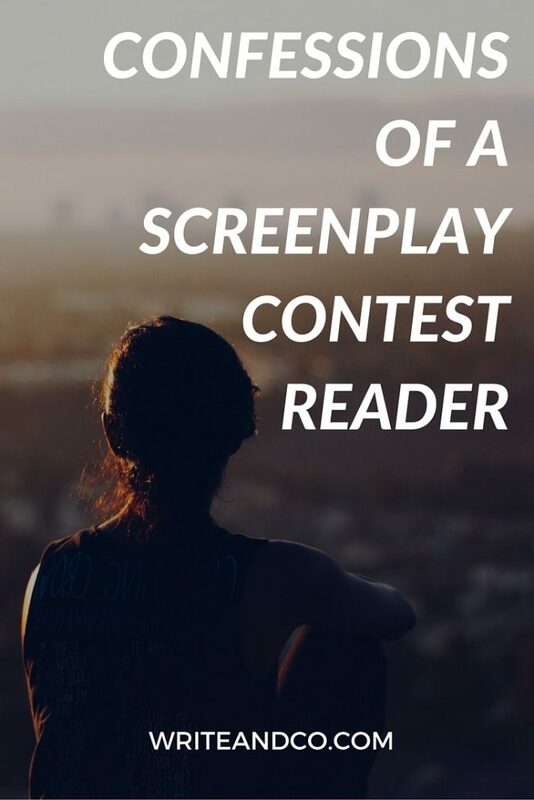 So screenplay contests can help you figure out where you stand and can give you an idea of the areas of your script that readers aren’t totally sold on yet. But once you have those clues you’ll need to do your own critical thinking about your script, and probably pull it apart a bit to figure out how to fix it. Rewriting is a multi-step (and iterative) process. Identify the problems. Identify the source of the problems. Make a plan to address. Implement the plan. Repeat. Contest notes point out the problems, which can feel overwhelming and frustrating for the writer on the receiving end. But hey – you don’t have to tackle that rewrite alone. Having conversations with your readers – whether they’re your friends, writing group buddies, or mentors – will help you find your way forward. Hi Naomi–First, let me say, I think all of your advice is very worthwhile and valid…and much appreciated, but I would like to give you a different take on screenwriting from someone who has lingered on the outer fringes for several years, and now has shifted my writing efforts from a career pursuit to a bucket list item. 30 years ago, when I wrote my Dutch Harbor and Apache Echo screenplays, agents actually read them before deciding if they were interested in representing them, and every one who read them, wanted them. But obviously they have never fallen into the right hands. Of course, it’s a different world now, and only contest judges are reading my Apache Echo screenplay (rewriting Dutch Harbor) and it continually places in the top five, including the American Movie Awards, Aura Screenwriter Awards and Screenplay Festival, but in recent times it has never been read in it’s entirety by an agent or production company. Why? For the most absurd of reasons. To touch on just a couple, one company passed because they couldn’t connect with the protagonist–in a two-paragraph synopsis! An agent passed because ONE scene description wasn’t written to their liking–really? Hi David, and thanks so much for sharing your thoughts! It’s awesome that you’re continuing to rework existing screenplays — you obviously believe in the stories. Just from what you’ve said here, I would think — and of course feel free to disregard this if you’re not looking for additional input — it would make sense to enter your scripts into some of the prestige contests (Nicholl, Austin, etc.) The smaller contests generally don’t get much industry attention. If your scripts fare well in the top contests, that can be enough to open other industry doors. And then it’s up to your concept and writing to reel them in. There are some good Competitions – if your work is good enough, although many push the paid-for rewrite notes aspect a bit hard. However, I’d recommend avoiding The Shore Scripts Competition. Really insulting. They failed to send me the updates/notifications they promised. When I queried this and asked them to send the emails which had never arrived, they started contradicting me. I then asked them to resend the emails, they ignored this, and got ruder. I asked them to either resend the promised notifications or refund the fee, and to identify which employee was sending these emails. They then went silent – which says it all. Zero out of 10 – that’s not the way to treat customers and representing £55 very poorly spent on an amateurish setup with its strange mix of well known and poor judges. Some both UK judges I know and will let them know how the company that uses their names really operates. Good to know. Thanks for sharing your experience! As a screenwriter, I truly appreciate your sincerity. I’m also a published author and editor and know both sides of writing. Editing, similar to judging, is usually not enjoyed by unpublished writers, but serious writers (as you know) virtually crave it! My screenplay certainly can be improved (BTW, an introduction to it is at http://www.manoftwoworlds.net if you’re interested). Can you recommend a reader or competition worth getting involved with? Again, thanks for your marvelous discussion on screenplay reviewers! Hey Michael! Thanks so much for your comment. Your Man of Two Worlds script sounds smart — based on a real person / true events gives it a lot of appeal, plus tons of action and romance to boot. The competitions I think are worth entering are the Nicholl Fellowship and the Sundance Labs. Having a win in either of those contests will open doors. Austin Fim Festival is reputable and well run as well, so I recommend it as a gauge for your own purposes. But as far as its benefits to your career, I know people who have gotten attention from placing in AFF, and others who say they didn’t get any additional attention so it’s maybe less effective in that way. As for readers, of course I recommend my own services first! Feel free to reach out if you have any questions I can answer. Hi Michael – thank you for posting this! So true: “Describe the picture in as few words as possible and use dialog to support the action/no action in the picture.” That’s a great, concise explanation of the target you’re trying to hit with every screenplay. Good luck with your contest entry! I found your blog because I, too, am currently reading for a screenplay contest and I keep seeing the same thing. The writing is good, and the characters, dialogue, and plot developed fairly well, but overall the scripts are just lacking. They seem to need more of everything — more action, more conflict, more character revealing, etc. It seems that the writers strive to hit a page count and think they’re done. I’m tempted to tell them to take a screenwriting class and develop a script with other people, but I ‘m much more diplomatic and try to point out the specifics of what I can see. Have you seen a similar problem? Yes, I think especially if you’re reading for one of the contests that attract more polished entries, you’ll see that sort of bell curve in the scripts. A lot of hey-this-is-okay (or even pretty good) but only a few WOW scripts. And this may be an unpopular opinion, but I think that speaks to how achievable it is to write a competent script, but how hard it is to get a script to that level where it really delivers EVERYTHING, like you mentioned. That’s when readers remember it, want to talk about it, and want to pass it along to others. It’s a high bar, but one to keep striving for. 🙂 Thanks again for your note, and keep in touch! I’ve been reading for a local screenplay contest since 2008 and two years ago the contest started sending feedback to the writers of NO scripts along with the Yes or second round scripts. I’ve read for another contest that doesn’t send feedback to all of the writers who submit. My feedback tends to be more specific than general (which is what the contest wants) and I’ve gotten some complaints telling me my feedback is too harsh. I do stay positive and point out the strengths in the script, but I also like to be honest and point out that “characters tell too much of the story” or “it reads like a novel”. I was wondering what you think about sending feedback to writers of NO scripts in contests. I feel that most serious writers would want to know more specifics about their script. I also attend a screenwriting group once a week and we expect harsh feedback to learn from our mistakes.